Exton's script is largely faithful to the source material, but he makes several additions and some changes. That's not surprising, considering that the short story is shorter than most. First, he adds a subplot in which Hastings is considering buying an Italian race car from two Italians, Mr. Vizzini and Miss Fabbri. This provides some comic relief and character development (Hastings and cars), and a rather brilliant wedding scene (The Godfather style). It also ties in with Signor Ascanio, since Vizzini is the one who has been a victim of blackmail. Second, Exton adds a subplot concerning Miss Lemon. She is seeing Mr. Graves, Count Foscatini's man servant (he pretends to be a private secretary). Slightly out of character (both Christie version and the TV version), but certainly an amusing addition - and a nice way to incorporate Miss Lemon. It also provides an important clue (Graves has a boat in Chichester called 'Fantasia Felice'). Third, Japp replaces the unknown local inspector. A sensible change, in light of his position in the series by now. 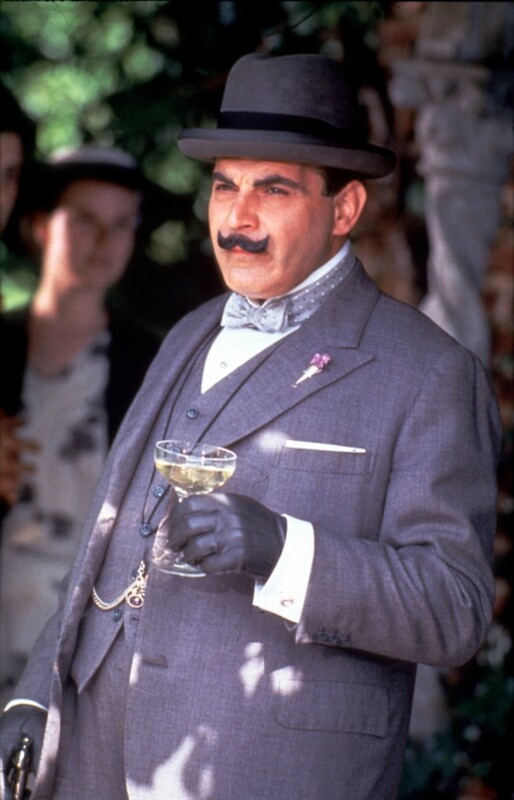 Fourth, a subplot on the Italian government is added (Graves tells Poirot that the papers are a matter of national security), including a scene at the Italian embassy and a somewhat unbelievable embassy secretary (would he really reveal everything to Poirot?). Finally, there's an added chase scene (as always!) - the most obvious time filler I've seen so far in the series. All in all, though, this is an entertaining adaptation, and if you accept the changes, it remains faithful to the plot essentials. Farnham's direction is competent, and he makes good use of the locations and sets. The production design, particularly in that wedding scene, is extraordinary. Locations include Avis Rent-a-Car, 8 Balderton Street in London (the garage), the roof garden in Kensington High Street (the wedding), Addisland Court (Count Foscatini's flat - also used as Carlotta Adams's flat in Lord Edgware Dies), Jenkins Hotel (where Ascanio is staying), Bosham, West Sussex (used as Chichester). Gunning's soundtrack is particularly nice, with several Italian undertones. Sadly, it has not been released. As I've already mentioned, there is character development for both Hastings and Miss Lemon in this episode, and it's quite nicely done, too. I even like the joke about the cats at the end. The guest actors all do a decent job, but the two 'Italians', Vizzini (David Neal) and Fabbri (Anna Mazzotti) are the ones I remember. The sub-plot of Miss Lemon's romance ends up offering a sense of the bond between the three. It is nice to see both Poirot and Hastings protective of Miss Lemon and outraged that she has been used. Hastings especially: he assaults Graves, not because Graves has murdered a blackmailing pseudo-count, but on Miss Lemon's account. There is obviously a close friendship between the two of them. Double Clue shows it, also. Hastings's chivalry towards women shows up time and again, even when he's just met the woman in question. He's just as indignant about the supposed treatment of 'Lady Millicent' in The Veiled Lady. It's a strong character trait for him. Mention of the Lyons Cornerhouse may be a subtle reference to After the Funeral. Why do criminals always go out of their way to get access to Poirot and get him involved in their plots? Granted, if you met him casual his appearance and mannerisms might lead you not to take him seriously as a detective, but don't they know he has a record of success? If you're still checking this, the summary for the previous episode links to this summary. Perhaps that could be fixed? Have you found the Case of the Missing Will summary? Mr. Roach is quite correct: The link for "Missing Will" still directs to "The Adventure of the Italian Nobleman." I would like to read your review of "Missing Will," and I cannot find it! SRJ Websoltions is world leader in website development services and is only webside designing company who deliver the project on time. Battery Mantra is Authorized exide car battery dealer in Noida and Greater Noida. We are providing our service in Indirapuram, Delhi, Ashok Nagar. Faridabad. You can place advertisement for your business on city spidey. I've tried and tried to figure out why the curtains weren't drawn in the dining room, but they were in the rest of the flat. Doesn't make sense. This blog is a spin-off from poirotchronology.blogspot.com and will deal with all aspects of the television series Agatha Christie's Poirot. You might want to use the 'By Topic' section below; a quick and easy way to find posts of interest.